imagineNATIVE is the world's largest presenter of Indigenous screen content. The organisation is recognised locally, nationally, and internationally for excellence and innovation in programming and as the global centre for Indigenous media arts. imagineNATIVE (legal entity: The Centre for Aboriginal Media) is a registered charity committed to creating a greater understanding of Indigenous peoples and cultures through the presentation of contemporary Indigenous-made media art including film, video, audio and digital media. imagineNATIVE presents the world’s largest Indigenous film festival, a national Tour focused on reconciliation, as well as the Institute among many other initiatives throughout the year. imagineNATIVE is one of the leading arts organisations in Canada that was twice nominated for the highly competitive and prestigious Premier’s Award for Excellence in the Arts (Ontario). 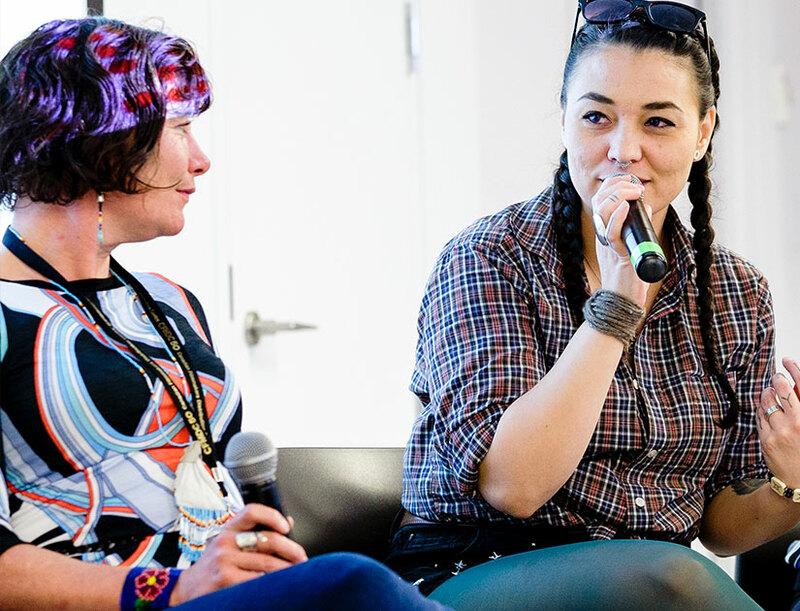 imagineNATIVE is committed to public education and strives towards dispelling stereotypical notions of Indigenous peoples through diverse media presentations from within our communities. To this end, we conduct professional development workshops and panels, public education initiatives, research projects, and curriculum/educators’ packages for secondary schools created from Indigenous pedagogies. The imagineNATIVE Film + Media Arts Festival - the organisation's primary activity - launched in 2000 and celebrates 20 years in October 2019. The Festival was founded to support the diverse, contemporary work of Indigenous directors, producers and screenwriters working in film, video, audio and digital media. We also present the annual imagineNATIVE Film + VR Tour across Canada with a focus on remote communities.